Beginnings are tough for start-ups, more so for start-ups trying to make their presence felt on social media platforms. While it is a fact that social marketing can help fast-track the growth of your start-up, damaging your online reputation is easy if you don’t do it correctly. If you are trying to get your start-up company off the ground, one of the things you absolutely need to invest your time and money into, apart from developing a great service or product, is marketing. If you’re planning to use social media to take your start-up to new heights, here are 10 mistakes that you should avoid at all costs. Social marketing is not about getting online and posting all you can about yourself and your start-up. Before you make your attendance felt online, it is imperious for you to have a social media strategic plan in place. Your social media efforts need to have a solid foundation and a strategic plan that outlines your objectives and details your services. Get in touch with your lead sales and marketing members and identify your target audience. 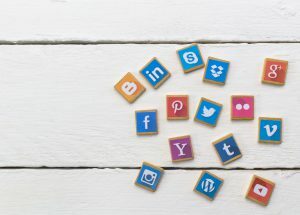 If you’re not dedicated to your social marketing plan, your social media accounts will end up being inactive, which will, in turn, create a bad impression. Your social marketing plan is not a sprint; think of it as a marathon. If the results are making you impatient, tweak your performance by analyzing metrics, adapting to audience behaviors, and tracking competition. Given the rise in the number of social media platforms, you might think it necessary to market your brand everywhere. Though, all social media platforms have a different purpose and a different set of users. Consequently, you’ll have to have a different social media marketing plan in place for each platform. The key to marketing effectively on social media platforms is outlining your target customers. As mentioned, all social media platforms have a different purpose and, as such, require different marketing plans. Being a start-up, you might not have the time and energy to come up with appealing content for several platforms. Furthermore, you don’t need to post on platforms that won’t get your desired results. Simply knowing who your target customers are isn’t enough; you also need to know what time zones they live in and at what time they are most active. While not posting constantly can be bad for your business, posting too frequently can also be a deal-breaker. Get the balance right: posting something once or twice in a month can cause your brand to become invisible and sharing a dozen posts a day is way too much. Find out what works for your brand and stick to it. It is possible to bore your target audience without even knowing it, so be cautious of what you’re posting at all times. Talk with your spectators and get them engaged in a conversation, attract eyeballs, use humor, and ask genuine questions and give intelligent answers. If you only talk about yourself and your company, people are bound to unfollow you. Instead of putting your start-up in the spotlight, focus on your target audience. Talk about things that interest your end users and you’ll end up engaging them in interesting conversations. The worst thing you can do for your brand is to give your target audience a reason to laugh at you. Avoid blunders by thinking about your posts and taking the time to analyze probable outcomes. Before you even spend your first dollar on creating an ad, you need to first understand your marketplace. Thoroughly analyze your customer demographics or buyer persona’s psycho-graphics. Social marketing mistakes have the potential to put a company out of business. As a start-up owner, you can never be too cautious about what you post online. So, put adequate thought into your social marketing plans and ensure you don’t end up making the mistakes mentioned above. Rules to Calculate the Turnover Rate in Retail What is the Difference Between a CPA and an EA?